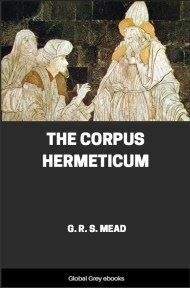 A truly fascinating read from G. R. S. Mead, this book is one of the best about Gnosticism. 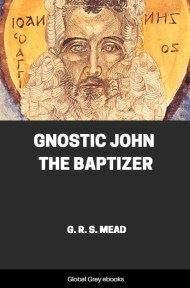 Even though this was written before the Nag Hammadi discoveries, it explains a great deal about what we knew about the Gnostics at the turn of the twentieth century. 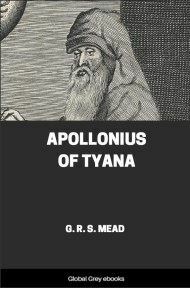 Mead draws on information provided both by the Early Church Fathers hostile to Gnosticism, and the available corpus of actual Gnostic documents at the time. 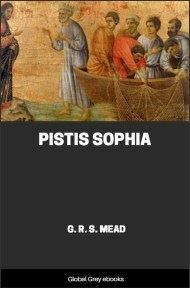 He includes excerpts from previously untranslated manuscripts, and extensive summaries of the Pistis Sophia and the writings of the critics of Gnosticism. 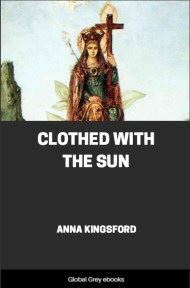 This book is required reading for anyone who wants to understand Gnosticism and the development of early Christianity. Includes some nice illustrations at the beginning of the main chapters. THE historical origins of Christianity are hidden in impenetrable obscurity. Of the actual history of the first half of the first century we have no knowledge. Of the history of the next hundred years also we have for the most part to rely on conjecture. The now universally received canonical account was a selection from a mass of tradition and legend; it is only in the second half of the second century that the idea of a Canon of the New Testament makes its appearance, and is gradually developed by the Church of Rome and the Western Fathers. The early Alexandrian theologians, such as Clement, are still ignorant of a precise Canon. Following on the lines of the earliest apologists of a special view of Christianity, such. as Justin, and using this evolving Canon as the sole test of orthodoxy, Irenæus, Tertullian and Hippolytus, supported by the Roman Church, lay the foundations of "catholicity," and begin to raise the first courses of that enormous edifice of dogma which is to-day regarded as the only authentic view of the Church of Christ. The first two centuries, however, instead of confirming the boast of the later orthodox, "one church, one faith, always and everywhere," on the contrary present us with the picture of many lines of evolution of belief, practice, and organisation. The struggle for life was being fiercely waged, and though the "survival of the fittest" resulted as usual, there were frequent crises in which the final "fittest" is hardly discernible and at times disappears from view. The view of the Christian origins which eventually became the orthodox tradition based itself mainly upon Gospel-documents composed, in all probability, some time in the reign of Hadrian (A.D. 117-138). The skeleton of three of these Gospels was presumably a collection of Sayings and a narrative of Doings in the form of an ideal life, a sketch composed by one of the "Apostles" of the inner communities and designed for public circulation. Round this nucleus the compilers of the three documents wove other matter selected from a vast mass of myth, legend, and tradition; they were evidently men of great piety, and their selection of material produced narratives of great dignity, and cast aside much in circulation that was foolish and fantastic, the remains of which we have still preserved in some of the apocryphal Gospels. 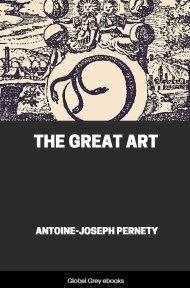 The writer of the fourth document was a natural mystic who adorned his account with a beauty of conception and a charm of feeling that reflect the highest inspiration. At the same time the canonical selection most fortunately preserved for us documents of far greater historic value. In the Letters of Paul, the majority of which are in the main, I believe, authentic, we have the earliest historic records of Christianity which we possess. The Pauline Letters date back to the middle of the first century, and are the true point of departure for any really historic research into the origins. 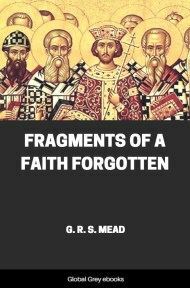 On reading these Letters it is almost impossible to persuade ourselves that Paul was acquainted with the statements of the later historicized account of the four canonical Gospels; all his conceptions breathe a totally different atmosphere. Instead of preaching the Jesus of the historicized Gospels, he preaches the doctrine of the mystic Christ. He not only seems to be ignorant of the Doings but even of the Sayings in any form known to us; nevertheless it is almost certain that some collection of Sayings must have existed and been used by the followers of the public teaching in his time. Though innumerable opportunities occur in his writings for reference to the canonical Sayings and Doings, whereby the power of his exhortations would have been enormously increased, he abstains from making any. On the other hand, we find his Letters replete with conceptions and technical terms which receive no explanation in the traditions of General Christianity, but are fundamental with the handers-on of the Gnosis. The picture which the letters of Paul give us of the actual state of affairs in the middle of the first century is that of an independent propagandist, with his own illumination, in contact with the ideas of an inner school on the one hand, and with outer communities of various kinds on the other. Whatever the inner schools may have been, the outer communities among which Paul laboured were Jewish, synagogues of the orthodox Jews, synagogues of the outer communities of the Essenes, communities which had received some tradition of the public teaching of Jesus as well, and understood or misunderstood it as the case may have been. (i) The rapid disappearance of Jewish (that is to say, primitive and original) [popular] Christianity. (ii) Every member of the community was supposed to have received the "Spirit of God"; the teaching was "charismatic," that is to say, of the nature of "spiritual gifts."